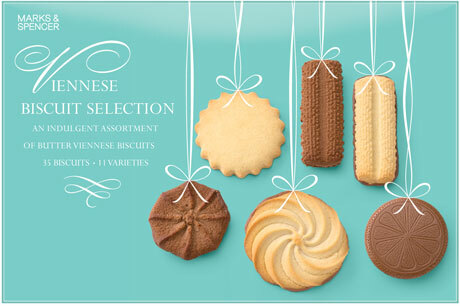 A range of biscuit collections for Marks & Spencer, originally for Christmas. The brief was to create a look with a holiday element that could be omitted so the packaging could also be used during the rest of the year. The biscuits were arranged in shapes that corresponded to various Christmas motifs and decorative elements were added to accentuate these. The shapes then worked well on their own once the elements were removed after Christmas.